Hichigo returns. :3 Mann, I wonder if it’s going to be a 2-on-1 fight where Zangetsu teams up with Hichigo against Ichigo. Ichigo is going to get new powers. Nooo, I really hope Aizen doesn’t kill Tatsuki. 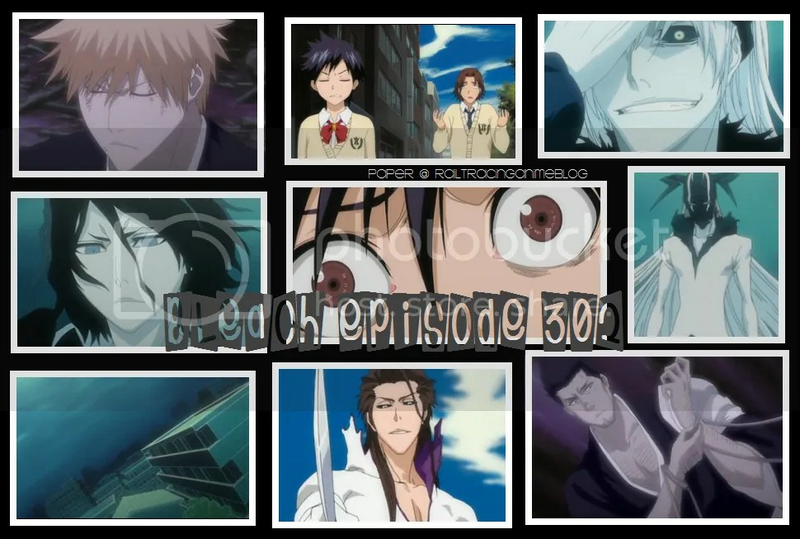 Aizen anticipated that Ichigo would return with new powers so then he knows what’s going on with Ichigo. Knowing that, Aizen seems confident that he will win and that he’s got total control over the situation. Does he not consider the possibility that Ichigo could overpower him and eventually kill him? –How conceited of Aizen. Also, what happened to Rangiku? I thought she was going to finally be able to see Gin. -_- Is she going to head back to Soul Society? This entry was posted in Anime, Bleach, Currently Watching and tagged anime, bleach. Bookmark the permalink. lol.. just skip everything and go straight to tensa zangestu. pfft.. the shinigami cup.. the thing at the end.. it was funny. I laughed. i like his voice. x3 ahah. Damn, I should start watching the anime again. Oh, and I won’t spoil anything for you, but Ichigo’s upcoming powerup is super awesome, I expect your jaw to drop down to the floor. Lol, I’ll be looking forward to it. Is there anyone else that can even compare to his upcoming power? I am not going to answer your question, not because of spoilers, but because answering that would kill the excitement and the awestruckness. I will tell you this however, you are going to have to wait some time to see his new power. Soon after this point, the story will focus solely on Aizen and his long walk through the town. The manga actually dragged Ichigo’s entrance for quite some time. Well, hearing that his entrance was drawn out doesn’t make it exciting to look forward to the shift of focus onto Aizen. I’m thinking about this and for it to focus on Aizen’s walk, which you said was long… I can’t think of anything that could occur as he trudges through the town except for him meeting and torturing all of Ichigo’s friends that are conscious and aware of his presence.